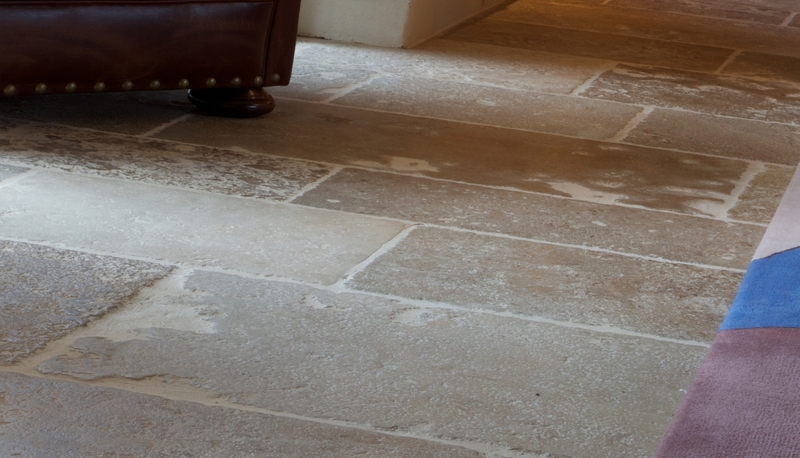 Period property restoration in East Sussex. 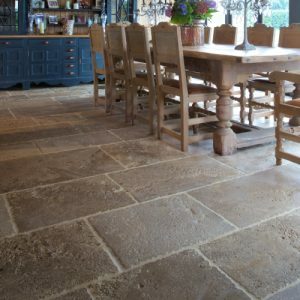 Harrods Interior Design Studio commissioned a range of natural stone installations from Artisans of Devizes for this listed, period property restoration in East Sussex. 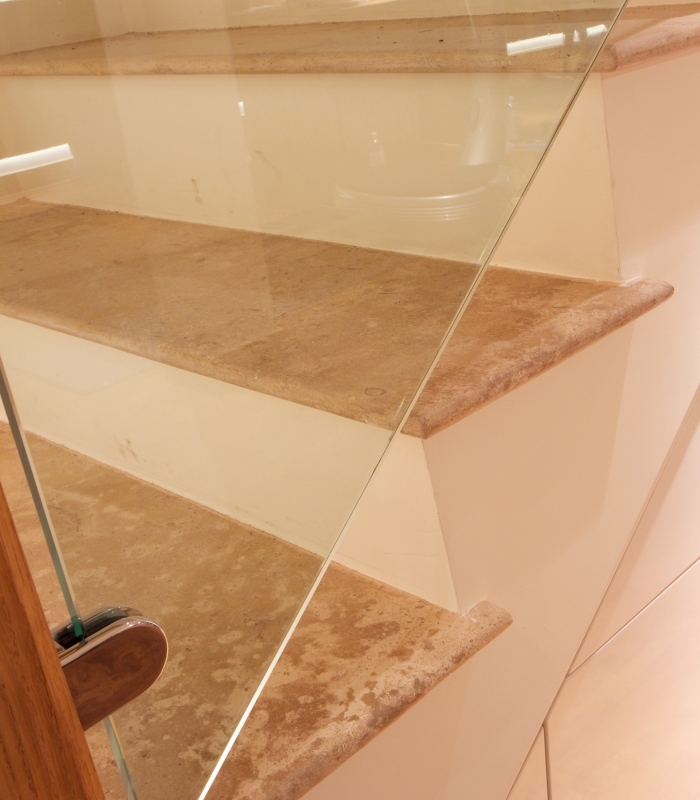 As well as nearly 200 square metres of flooring in the living areas, Artisans also created a bespoke staircase with single-piece treads and risers cut from block stone, a feature fire-hearth and paviors for the shower-room. 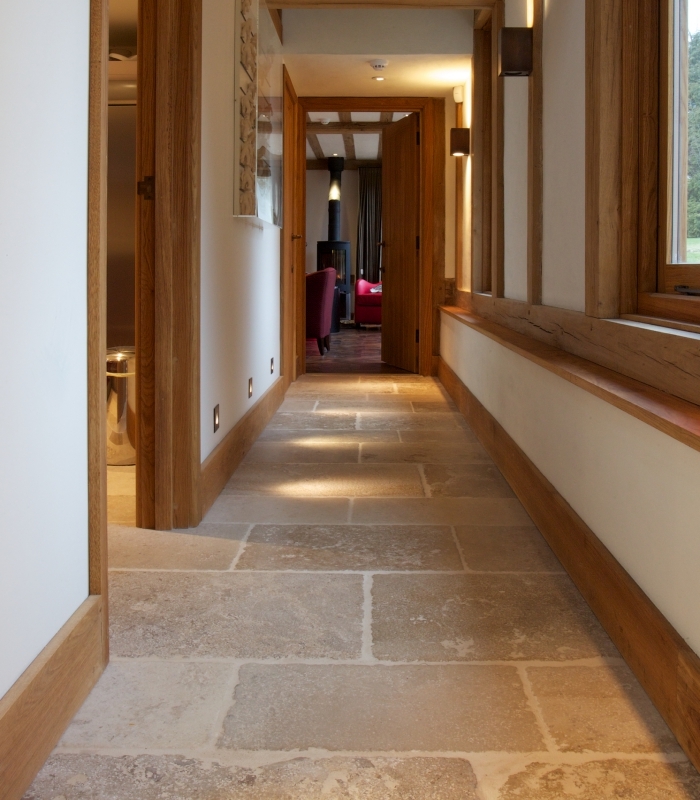 Artisans’ ability to complement and match period features with meticulously chosen materials was critical for this high-quality restoration of a 17th century private dwelling. 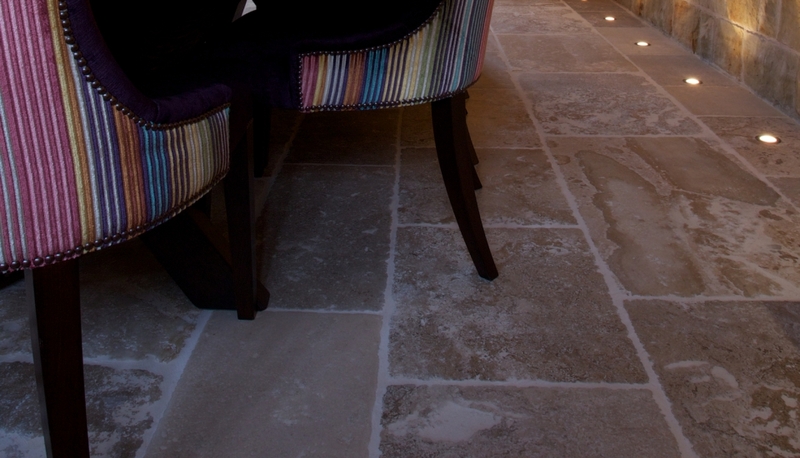 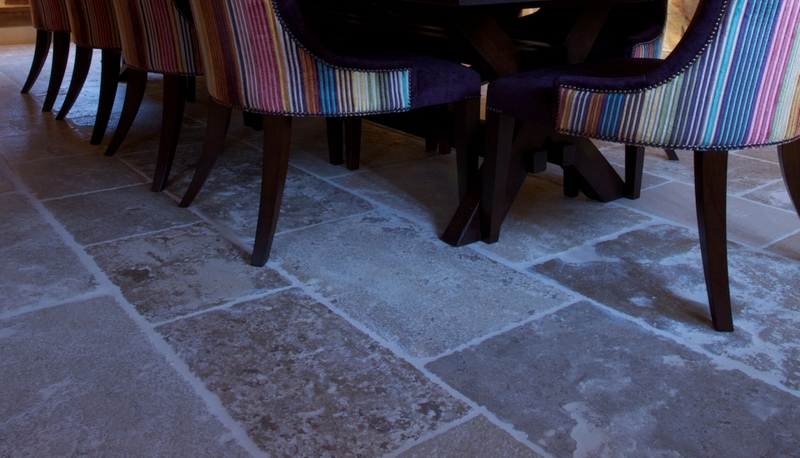 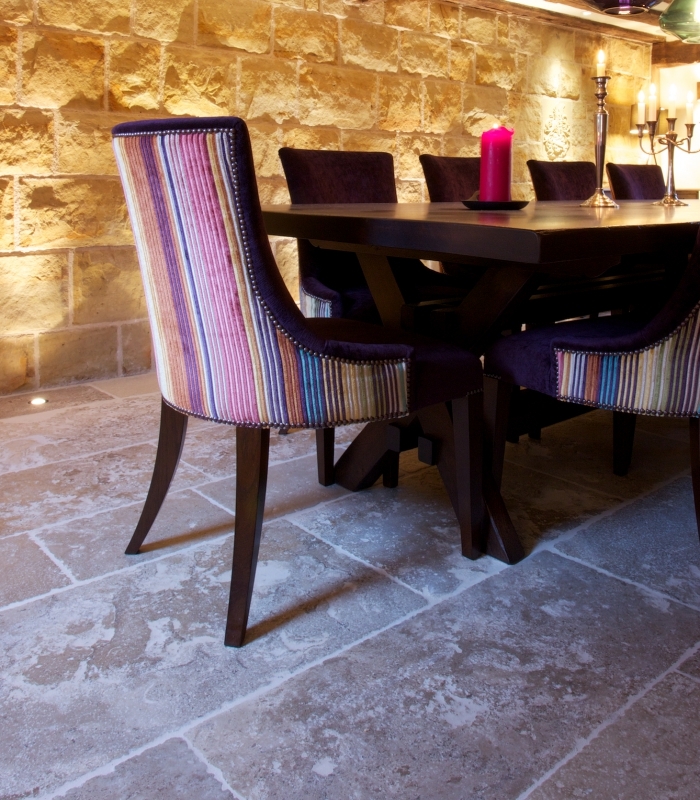 The limestone floor was laid with an ivory mortar to match the lime rendering of old walls, for example, while the Artisan Ancient™ finish ensured each flooring stone was uniquely characterful. 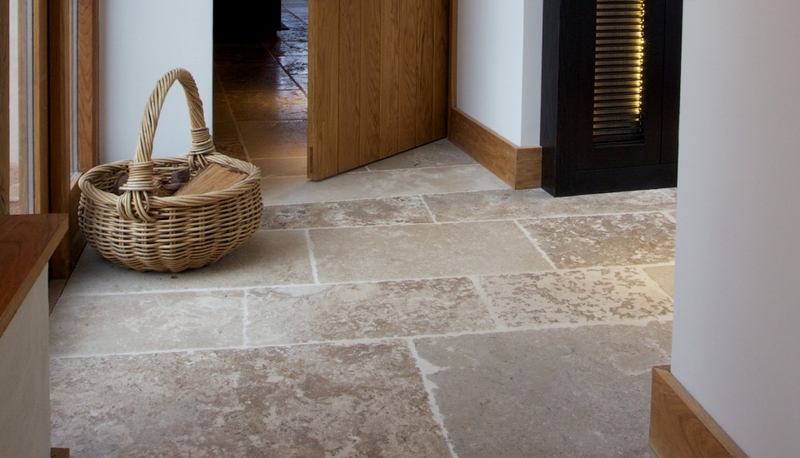 And our experience in incorporating modern features, such as the uplighters cut into the stone floor-tiles, enables us to work alongside architects and interior designers aiming to deliver the most stylish projects.